For there is ‘Trouble in Tibet’, I want to Find the Key to Living a Happier Life. Happiness is like Sunshine. How can I find Sunshine, if Land is submerged under deep Darkness called Military Occupation??? The concept of finding “Inner Peace” through Meditation or Internal Reflection is invalid if there is no PEACE in external environment which conditions man’s existence at any given place and time. For the Dalai Lama, finding inner peace is as easy as deciding that whatever is bothering you simply doesn’t exist. Well okay, it’s not that easy. It takes a lot of practice and study. His Holiness, along with Richard Davidson, a neuroscientist and founder of the Center for Healthy Minds, sat down with ABC News’ Dan Harris for his new live-stream podcast show, “10% Happier With Dan Harris.” The Dalai Lama and Davidson have collaborated for years on research looking at the impact meditation can have on the brain. Specifically, the Dalai Lama spoke about the importance of studying and practicing analytical meditation, the art of actively examining something bothering us and questioning whether it really exists. “When we analyze the nature, or the very identity of sadness or worry, you can find … the appearance of something or ‘my sadness, something is here, something solid,’ now that no longer there,” His Holiness said when describing the practice of analytical meditation. If it’s a another person you’re angry with, the Dalai Lama suggested recognizing that you are angry at that person and then letting that anger go. “In the case of one human being who gives you problem, and you feel very negative with that person [you] consider your enemy. … That is a target of anger. Analyze that target. Dissolve. So anger no longer find independent target,” he said. 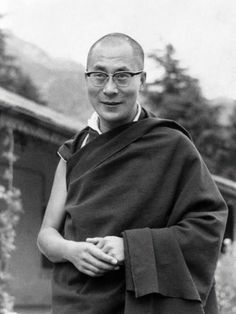 Even as a spiritual leader, His Holiness said he believed scientific research into meditation is important because having evidence and knowledge about the physical and mental benefits meditation can have on a person can only enhance “the well-being of the world.” It’s a way to deal with problems and find “peace of mind” within oneself without relying on outside escapes, such as drugs or alcohol, he said. Davidson said having good health doesn’t just mean the “absence of illness” in the body, but also removing suffering from the mind. Teaching others how to do that through the practice of meditation, learning to live happier, can have real long-term benefits. But meditation, His Holiness said, is not merely sitting there in “thoughtlessness,” but instead using our brains to concentrate on a particular subject or noise or destructive emotion (like anger) bothering us as a way to “reduce the intensity” of the emotion, and then let it go. “You see, one of the best gift from God is intelligence. So without using our intelligence it’s quite a pity,” he said. So when asked what he thought of Donald Trump and the American election process, which has been fraught with anger and opponents slinging mud at each other, His Holiness said, “a serious discussion about policy matter is useful, but sometimes little bit sort of personal criticism these things that looks a little bit cheap. That’s my view.